No matter the sector, the future is never entirely clear. And a number of stakeholders are warning that for pharmacy, it may be cloudy indeed: as we pass the halfway mark of the 6CPA, there have been suggestions that should the regulatory environment change in the future, things will change significantly for pharmacists, too. Amazon has been identified as a potential threat following its purchase of PillPack, a pharmacy service which gives it the necessary licensing arrangements to serve all 50 US states. Concerns have been raised over new entrants into community pharmacy such as Ramsay Health, and existing disruptors such as the My Chemist/Chemist Warehouse group. At this stage, it’s unlikely that the regulatory environment will change in the next few years. As Pharmacy Guild executive director David Quilty recently pointed out, the location rules were recently locked in, despite efforts from the King Review, and Health Minister Greg Hunt has pledged solid support to the sector. 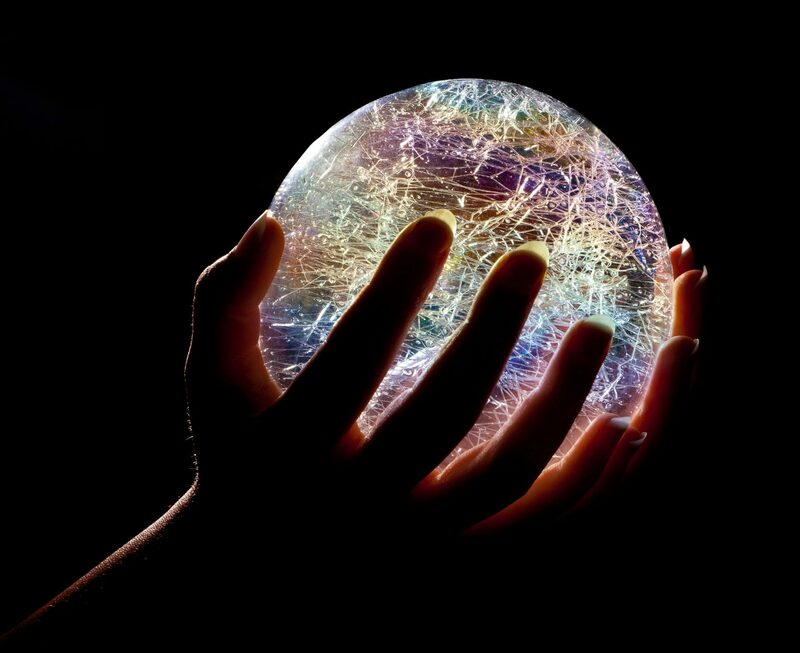 As a result, the stakeholder organisations have been polishing off their crystal balls and looking into the future to see how positive change can be made. And these visions aren’t just about future-proofing pharmacy from potential threats: they’re all about bringing out the best of the pharmacy profession to improve Australia’s health outcomes. The PSA has just released a discussion paper at its annual conference, PSA18, in which it explores solutions to challenges facing the profession. National president of the PSA, Shane Jackson, told the AJP that originally the paper was a 10-year plan, but following consultation with members and consumers, the focus shifted forward. “There’s a desire for more immediate change,” he says. He says that the PSA’s focus is on three “R’s” – roles, recognition and remuneration. “Pharmacists want their scope of practise fulfilled: they want to apply their expertise in practice and don’t want to be limited in scope,” Dr Jackson says. “The way the health system is currently designed, and the remuneration structures, don’t allow pharmacists to take the level of responsibility and accountability they should have. Dr Jackson discusses the future at PSA18. “Activities include an expanded vaccination program, pharmacist prescribing and expanded availability of S3 medicines, the ability to have remunerated and structured minor ailments programs, taking responsibility for medications management, medicines adherence programs, what I call medicines optimisation programs which include medicines reviews… all those types of things then start to become activities the pharmacist has in their kit bag. The PSA’s consultation on the paper revealed that most pharmacists also feel they need to be “appropriately recognised and credentialed for some higher level activities they might do,” he says. There needs to be assurance across the board that programs developed by pharmacy are delivered to an appropriate quality standard, with integrity across all pharmacists do, Dr Jackson says, and this means a set of outcome measures to track how the health system is getting value for money from pharmacists. This remuneration could well come from access to the MBS, an expansion of the Workforce Incentive Program to employ pharmacists in GP surgeries, or could see pharmacists embedded into other health care locations such as residential aged care homes. There needs to be a focus on embedding pharmacists into more of these areas, Dr Jackson says. “We’ve got to get health policy-makers and funders to think that if somebody is using a medication, where is the pharmacist?” he says, saying that pharmacists need to be embedded in health teams; equipped with tools and enabled to help them fulfil their scope of practise: leading to an empowered pharmacist. National executive director Belinda Wood says the discussion paper is not prescriptive, but is looking at a number of solutions. “What’s important here is that pharmacists want to do this, consumers want to access more services from pharmacists, and we genuinely believe Australia is missing out on opportunities to maximise the health care potential of utilising pharmacists wherever medicines are used. “In the discussion paper we’re not debating whether those should or should not occur – because they’re occurring internationally, and if there’s desire from consumers and pharmacists to have them, it’s about looking at what needs to happen to enable this. Dr Jackson says that he hopes the 7CPA will see continued investment in value-for-money pharmacist-delivered services. “We’re hitting a tipping point, with a large number of programs that can potentially impact pharmacy quite significantly in a number of ways over the next two to three years,” Dr Jackson says. According to Professional Pharmacists Australia, the balance between professionalism and commercialism has shifted too far to the latter – including in hospital pharmacy, which according to president Dr Geoff March “is increasingly delivered through outsourced arrangements which can undercut the roles and resources of these pharmacists”. PPA has come up with a number of solutions which bear similarity to those being explored by the PSA: pharmacists’ role as health care providers should be recognised; and pharmacists should be paid commensurate with skill and value provided. The union is proposing a community pharmacy model “which better addresses a societal problem,” Dr March says, and which acknowledges the “unacceptable” level of medication misadventure associated with the use of legal medicines. PPA is also urging integration of pharmacy into the health system, rather than treating it as a separate entity. “Treated in this way, we believe that Governments feel they have ‘addressed pharmacy’ with the signing of CPAs and exclude pharmacy in discussions with the rest of the health sector when addressing wider health issues. “There needs to be a negotiations-based mechanism for determining remuneration for the supply of PBS prescriptions provided by community pharmacies on behalf of the Government. The SHPA is finalising its suite of sequential pharmacist development programs this year, while continuing to ramp up advocacy activity and unveiling new strategic directions to support the growing hospital pharmacy sector. Chief Executive Kristin Michaels says the standing of hospital pharmacists is growing, as is their influence on and ability to inform Australian health policy. “Advocacy outcomes we have seen so far this year include the postponement of proposed direct reimbursement of medicines subject to a Special Pricing Arrangement on the PBS, new legislation to implement a nationwide system for managing and communicating medicines shortages through the TGA and, in late July, our national landscape survey into hospital pharmacy practice in relation to opioid therapy and pain management for post-surgery patients informed SHPA’s inaugural Medicines Leadership Forum: Reducing opioid harm in Canberra,” she says. Ms Michaels says that SHPA will soon release its vision for the future development of the pharmacy workforce to meet Australia’s rapidly evolving clinical demographic and economic challenges. “This look to the future will show how our initiatives piece together to cover development needs from university to retirement; from experiential hospital-based learning in early years to networking to grow expertise in specialty disciplines, holistic wellbeing and pharmacy leadership from mid-career and beyond,” she says. “This year, we are progressing the Tech Role Redesign project, working to entrench and grow technicians’ and pharmacy assistants’ roles to enhance patient outcomes and career development opportunities. Amid the long-range initiatives, Ms Michaels says the other exciting news for pharmacists is much more practical – the release of a new, fully-automated online CPD planning and recording tool. Chair of the Pharmacy Board William Kelly told the AJP that public safety is the Board’s number one priority in its core work of investigating complaints and assessing registration applications. “However, equally as important is our other regulatory work that helps to inform our role as a risk-based regulator for the pharmacy profession,” he said. “Our ongoing engagement with local stakeholders and pharmacists is an important part of this work to ensure the Board keeps up to date with developments within the profession,” Mr Kelly says. With this in mind, the Board recently hosted a forum to consider the need and opportunities for expanding pharmacist involvement in prescribing. The forum brought together hospital and community pharmacists, government health department representatives, professional association delegates, state and territory pharmacy authorities, consumer representatives, education providers, the Australian Pharmacy Council, New Zealand government advisers, pharmacists with firsthand experience as prescribers overseas, Pharmacy Board members and AHPRA staff. 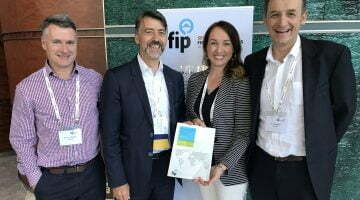 It explored the potential expanded role of pharmacists in prescribing in order to contribute to supporting access to medicines in Australia, which aligns with the objectives of the National Scheme, including “to enable the continuous development of a flexible, responsive and sustainable health workforce and to enable innovation in the education of, and service delivery by, health practitioners”. Mr Kelly says prescribing by pharmacists is an established component of practice in countries including New Zealand and the United Kingdom. “The profession and stakeholders are now taking steps to explore if there is a need for similar provision of services in Australia,” he says. 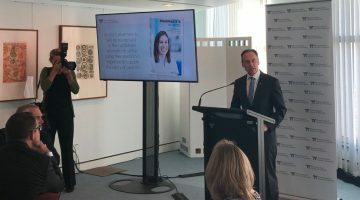 “If Australia’s health ministers make the decision to enhance a pharmacist’s practice in this way then the Board has an important role to play in ensuring that a pharmacist prescribes according to their competence for their scope of practice and under the appropriate legislative authority. The Pharmacy Board will also continue to review its regulatory work plan to meet the aims and objectives of the National Registration and Accreditation Scheme. The Pharmacy Guild has been active in discussing the results of its research project, Community Pharmacy 2025 (CP2025), with the sector for some time, following its engagement of research provider ORIMA Research and advisory firm Pottinger to provide a vision for a framework for a sustainable and viable community pharmacy sector into 2025 and beyond. The research identified nine pathways that represent the best opportunities for community pharmacies to make the most of the changing operating environment. Online which involves the integration of e-health services and processes within the core pharmacy business model and development of online retailing, fulfilment and connectivity for medicines, front-of-shop products and health services. Health services which focuses on the provision of health-related services in the pharmacy, including medicines advice, management and safety protocols, health-related advice, preventative health, disease screening and detection and chronic disease management. Community/health hub to provide services or space for third parties to become a community/health hub, focusing on patient-centred care linked with other professionals. Business operations including modifying back-office operations to make more efficient use of assets, supply chain resources, admin processes and people. Automation through increased use of technology such as automated dispensing/packaging to reduce cost and improve service. New products which will include extending product ranges to leverage physical distribution networks. Leverage brand by utilising Gold Cross or own-brand products and services to increase margin and/or build brand presence. In-home services such as medicines supply and management, and associated services to customers in their homes. Coordination, accreditation and partnerships with other health-related services and Government. The first four of these are the most urgent, the Guild says, and the Guild’s David Quilty told the AJP that one of the reasons the organisation is doing this work now is to “really try and get a good handle on what a successful future for pharmacy should look like – so we need to ensure the 7CPA helps to enable that”. He told the AJP that of the nine pathways identified, the first four are considered to be the most urgent. The virtual retail channel will also be part of this, he says, as will opportunities for interprofessional collaboration. Mr Quilty says that the health services pathway will involve a more personalised approach to medicines care, necessary as the population ages. Medicines prescribed are likely to differ according to a patient’s genetic makeup and metabolism, he says. 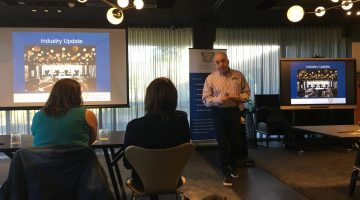 Pharmacies as a health hub will be most obvious in regional areas where there are fewer health professionals, he says, and this is already beginning to happen with telehealth. “We’re also seeing a broadening array of health practitioners working in pharmacy – diabetes educators are a good example, and for a long time we’ve seen various child/maternal health nurses. “But we’re also seeing nurses and others with expertise in areas like chronic pain, mental health and so on entering into arrangements with pharmacies, and as part of that collaborative care they may be doing sessional work in pharmacies. It’s also happening more broadly with large medical centres. Last, Mr Quilty highlighted the importance of the business pathway, warning that “pharmacists are first trained as clinicians – and when Pottinger looked at businesses they saw all sorts of opportunities to being more effective. Some pharmacies are not efficient in ordering, or their product mix in terms of moving product through the pharmacy, they’re not aligning their product with their health solutions. Some have way too much stuff, and stuff means real estate. And Mr Quilty urges pharmacists to look into the future with the Guild and the other stakeholder organisations, and not rest on their considerable laurels. “There’s strong support for community pharmacy,” he says. “The market research we did reinforced that trust is one of the things on our side, and that’s really good, but it’s also a bit of a worry. “Satisfaction and trust in pharmacy is so universal that it’s nearly becoming commoditised. The public believes that if they go to a pharmacy, they’re going to get a very high level of service and customer satisfaction, and that’s pretty much the case regardless of any pharmacy you go to.